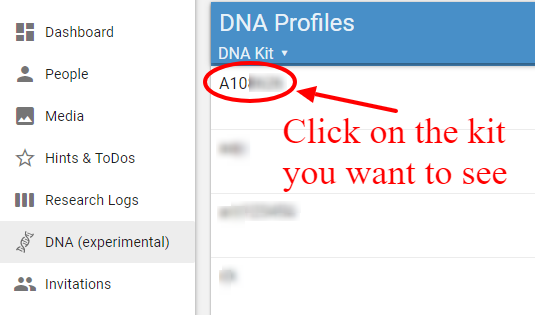 Click on DNA tools in the left side menu. Click on the DNA Kit you wish to see. This opens the List View for that kit. The DNA menu is accessed by clicking on the down arrow inside a blue circle at the upper left of your List View. Note: you must import list and segments before you can import triangulation. Triangulation requires a GEDmatch Tier 1 Plan. Click on DNA in the left side menu. This opens your list of DNA profiles. You may have multiple profiles for different people in your tree. Select the kit number for the profile you wish to use. The next screen is the List View. 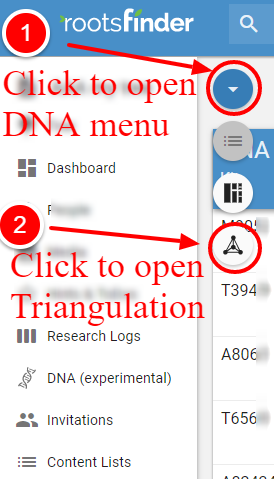 Click on the down arrow in the blue circle to open the DNA menu. Click on the Triangulation icon. Log into GedMatch.com. Select Triangulation under the Tier 1 utilities. Enter your kit number, set Display Options to Show results sorted by kit number, and click Triangulate. Once the DNA Matches are displayed, press Control-A (for PC Users) or Command-A (for Mac users) to select the entire page, then Control-C (for PC Users) or Command-C (for Mac users) to copy. Open your DNA tools at RootsFinder.com. 1. First, you must update your List and Segment Views. Then, open your Triangulation View. 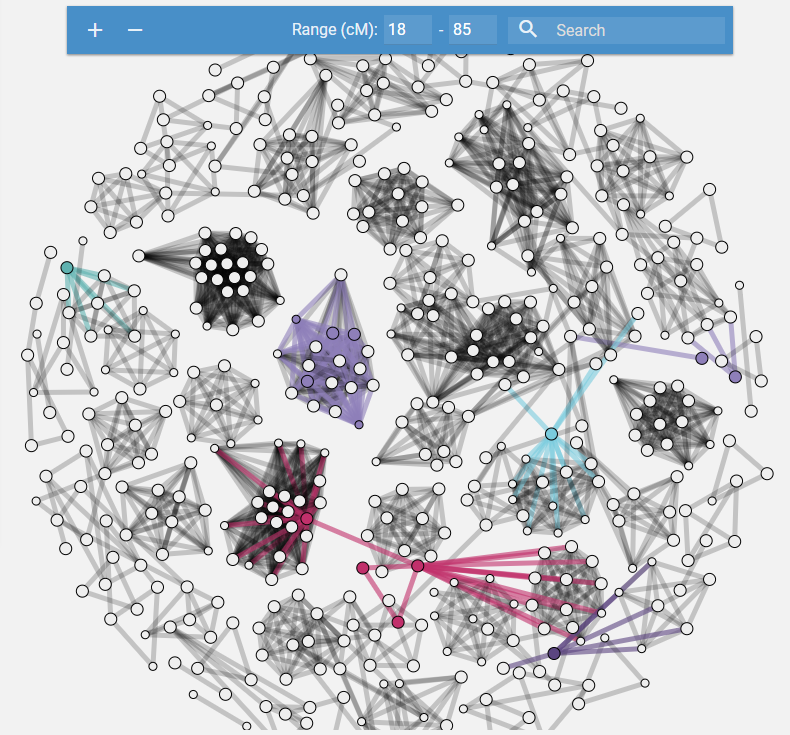 Click on the "+" at the upper right corner of the Triangulation View. Then, click on the check box if you want to delete existing matches before adding new matches. This may be desirable if you have created a new GEDmatch report that excludes matches that were in the original file. If this box is left unchecked, new matches will be merged into existing matches. In either case, existing notes and tree assignments will be preserved. 3. Finally, press Control-V (for PC Users) or Command-V (for Mac users) to paste inside the instruction box to copy the updates into your Triangulation View. Clicking on the trashcan icon deletes all your views. However, the kits and their matches to your tree are stored. That way, if you upload another kit and it has the same kit(s) in it, they will already be matched to your tree. Caution: Do not click on the trashcan icon. It will delete your entire profile and you will have to start over. 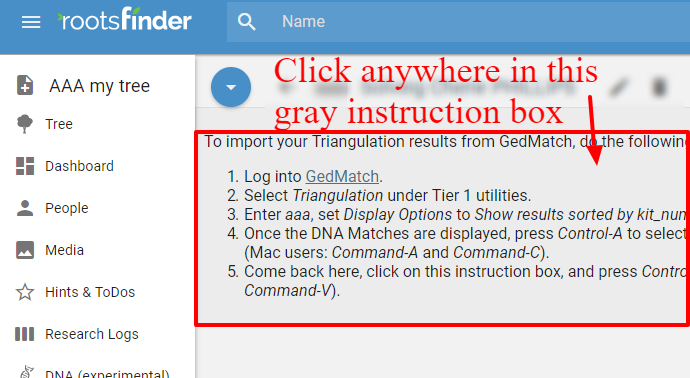 Follow the directions to import the new Triangulation information.